The idea for Travis Wilkerson’s film Did You Wonder Who Fired the Gun? started among the whispers and legend of his family’s secrets. There were stories that Wilkerson’s great-grandfather, S.E. 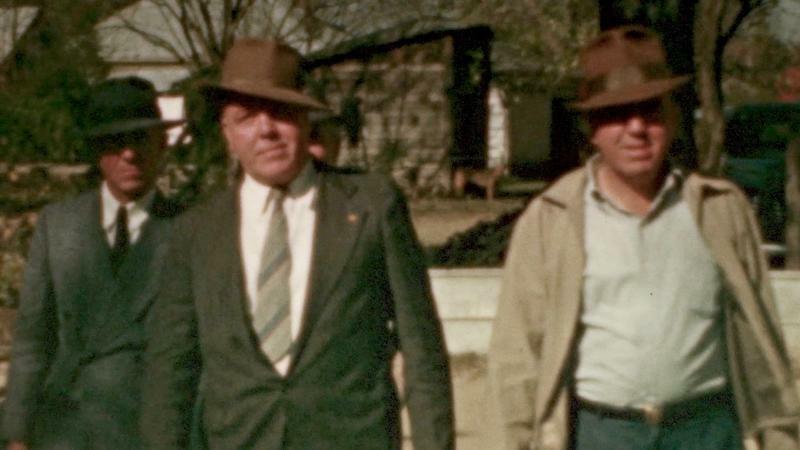 Branch, killed a black man in 1946, in Dothan, Alabama and got away with the crime. Branch was charged with first degree murder, but the charges disappeared. The story had never explicitly been explained. But after the shooting of Trayvon Martin in 2012, Wilkerson said he decided he had to know what happened. Did You Wonder Who Fired the Gun? is an exploration into Wilkerson’s family’s past to find out what happened to his great-grandfather. Catherine Wheeler spoke with Wilkerson about Did You Wonder Who Fired the Gun? Wheeler: How did your family respond to this? Wilkerson: “They sort of along the lines that they would respond to everything based on their own kind of predispositions. So the vast majority of them responded with silence and ignored me. Then for a handful of people who were sort of more politically progressively minded they were really hopeful that we would develop some knowledge and some connection to the family of the person who had been killed. And for a very small number of politically active racists and white supremacists there was a there was definitely much more of a hostility to it. Wheeler: What were some of your biggest challenges making this film? Wilkerson: I think there were, to me, the practical challenge of trying to solve mysteries and confronting an absence of information, of the destruction of documents and a resistance of people to speak is kind of standard of me. And then you're involved in this project where you're confronting the fact that sure, some of the people in your family are like that, but some of the people in your family have just done horrific things and a bunch of other people in the family either don't care or actually support what they did. And so that like issue of what does that mean for me, what does that mean for me as a person, what does that mean for me in my history, what does it mean that I have a good job that I'm able to get resources to work on projects that I want to work on, and that I don't know that the family of the person that was killed by my relative has anything to show for that period. It's been extremely difficult for me to figure out what's left. Wheeler: What do you hope the audience takes away from the film? Wilkerson: I just want it to be sincere. I want it to be honest. I want it to be genuinely humble and genuinely remorseful and other than that I would hope they would take whatever they want to take out of it. I mean I really believe in my heart that if you look closely at any place and you dig under the surface, that you discover similar kinds of history and i don't mean specially like racial murder, or something like that, I don't mean that. I just mean there's something about what developed the power in that place, that is problematic and that has probably been suppressed. One thing I would love is for an audience is to apply that critical approach to the world around them and think about what lost, hidden, suppressed, historical facts are that are that could really lead us to an understanding of where we are now and where we need to go in the future.